Congratulations to MEAN GUY running member Margo Wallace for winning the overall mileage and Tom Cunningham for being closest to the average. They each won gift certificates to a running store of their choice. (Margo $75 and Tom $50) - Ask why the difference. How it works: You run. You log your miles. Repeat. As usual, there will be a spreadsheet with all runners' mileage. Here is the twist. 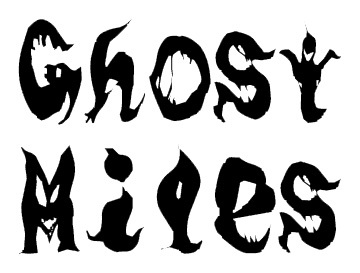 Ghost Miles will hide the majority of the mileage from the public. They will be revealed at the end of the challenge. This challenge is completely FREE for all MEAN GUY running members. (Code is the same as usual.) It is only $5 for non-members. Winners will be closest to the average mileage and the most overall mileage. That's right, there are TWO WINNERS! Members will take home $75 while a non-member winner will win $50.